Well-known physicist and atheist Stephen Hawking died at age 76 on March 14, 2018. He uniquely bridged the gap between ivory-tower academia and popular culture. A 2014 film was made about Hawking’s life. Called The Theory of Everything, it starred Eddie Redmayne as Stephen Hawking and Felicity Jones as his wife, Jane Hawking. Nominated for several Academy Awards, the film garnered a Best Actor Oscar for Eddie Redmayne. Hawking was born in Oxford in 1942 to a family that highly valued education and intelligence. Family meals were often spent with each member silently reading a book. At age 17, Hawking went to University College, Oxford, where he studied physics and chemistry. In 1962, he went to Trinity Hall, Cambridge, for doctoral work and received a Ph.D. in applied mathematics and theoretical physics. After graduation, he dove into professional studies of cosmology that lasted his entire life. When he was just 21, ALS attacked his body and slowly crippled him. It eventually forced him into a wheelchair. Doctors predicted an early death, but amazingly he lived with this debilitating illness for over 50 years. A severe case of pneumonia in 1985 restricted his breathing to a tube and required him to communicate solely through an electronic voice synthesizer. But he continued his cosmological research and professional life. For both biblical and scientific reasons, ICR disagrees with Hawking’s endorsement of the Big Bang model and his stance on religion. However, we recognize his advancements in physics and his courage in a lifelong battle with ALS. For both biblical and scientific reasons, ICR disagrees with Hawking’s endorsement of the Big Bang model and his stance on religion. However, we recognize his advancements in physics and his courage in a lifelong battle with ALS. We hope his legacy inspires more people to investigate God’s wonderful creation. Elias, J. Stephen Hawking moved past life’s event horizon. PC Magazine. Posted on pcmag.com March 14, 2018, accessed March 14, 2018. Sample, I. Stephen Hawking: “There is no heaven; it’s a fairy story.” The Guardian. Posted on theguardian.com May 15, 2011, accessed March 14, 2018. 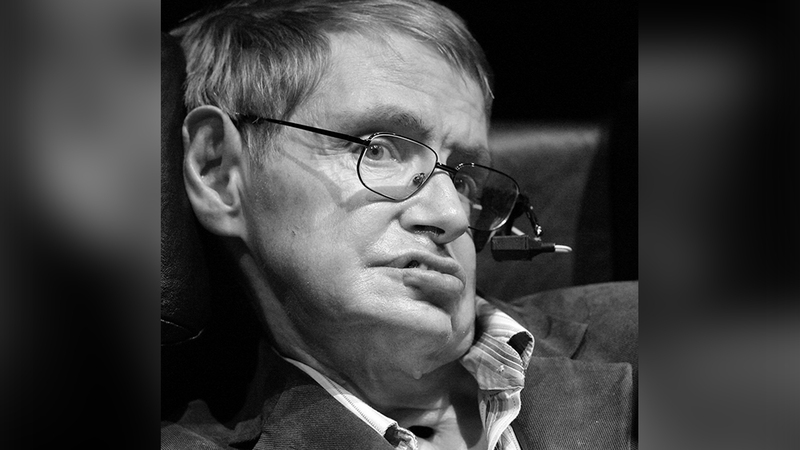 Sarfati, J. Hawking atheopathy: Famous physicist goes beyond the evidence. Creation Ministries International. Posted on creation.com September 28, 2010, accessed March 14, 2018. Francis, K. Genesis, a Cup of Tea, and the End of the World. New English Review. Posted on newenglishreview.org September 2017, accessed March 14, 2018. Article posted March 14, 2018.